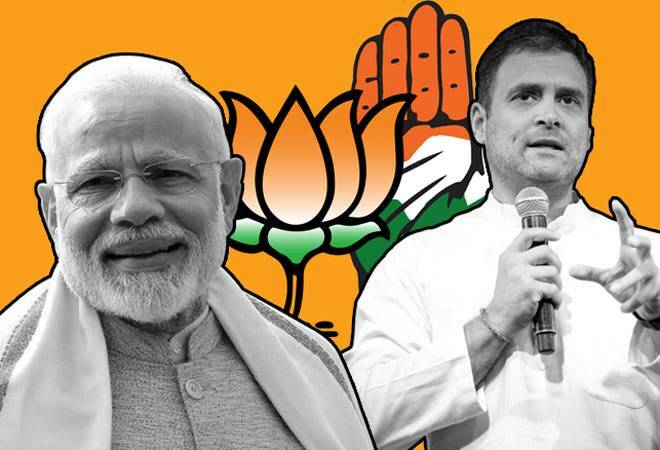 Lok Sabha election 2019 Phase 2: Notable constituencies to vote in the second phase include Agra, Aligarh, Amravati, Bangalore, Bulandshahr, Coimbatore, Chennai North, Darjeeling, Jalpaiguri, Latur, Mandya, Mysore, Mathura, Puducherry, Solapur, Tripura East, and others. The second phase of Lok Sabha election 2019 will start on Thursday around 7 am and will go on till 6 pm. The phase-2 of polling will be held in 95 constituencies across 13 states. States where voting will be held include Tamil Nadu (38 seats) and Puducherry (one seat), Karnataka (14), Maharashtra (10), Uttar Pradesh (8), Assam (5), Bihar (5), Odisha (5), Chhattisgarh (3), West Bengal (3), Jammu and Kashmir (2), and Manipur (1). Notable constituencies to vote in the second phase include Agra, Aligarh, Amravati, Bangalore, Bulandshahr, Coimbatore, Chennai North, Darjeeling, Jalpaiguri, Latur, Mandya, Mysore, Mathura, Puducherry, Solapur, Tripura East, and others. For complete coverage on the Lok Sabha election 2019, you can tune into India Today news channel as well as online platform IndiaToday.In. For Hindi coverage on everything related to polls, you can tune into AajTak channel or log into Aajtak.In. BusinessToday.In will also bring you all the latest insights of phase 2 of the Lok Sabha election. The battle for a total of 543 seats had started with elections in 91 constituencies across 20 states on April 11. The final vote count will be done May 23.